The third season of the hit AMC series HUMANS will premiere on June 5th at 10/9c. The series has become a solid performer for the network and has also built a very loyal fanbase. One of the reasons for the success of HUMANS is the performance from actor Emily Berrington. Emily plays the controversial synth Niska. Although Niska is known for some dark moments in the series, she’s definitely become a fan favorite and that can be attributed to the outstanding work of Berrington. Before the Season 3 premiere, we had the chance to talk with Emily about the upcoming season. We talk about where the series picks up, what is the situation with Niska and Astrid and what fans can look forward to with Season 3 of HUMANS. 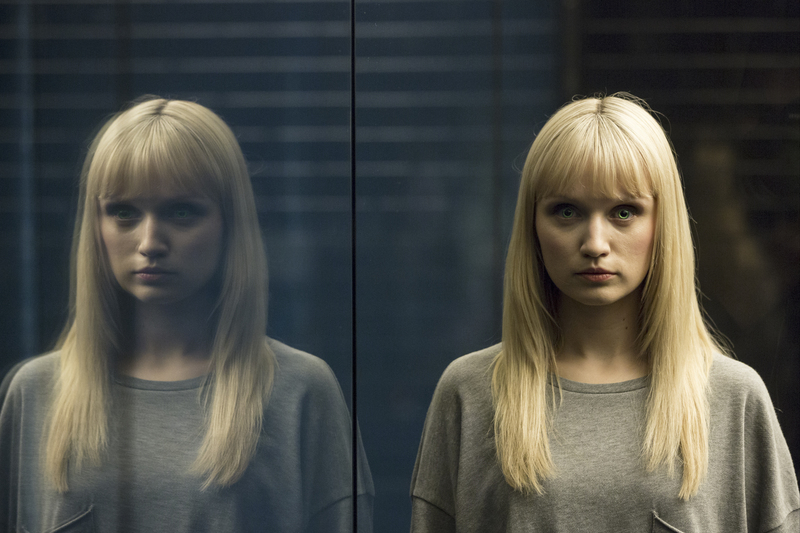 Pop Culture Principle – At the beginning of Season 2, we see Niska upload the consciousness code for all synths, but it didn’t have the immediate effect she had hoped for. How disappointing was that for her? Emily Berrington – It was really disappointing for her and I felt that myself. I knew they couldn’t have the consciousness code working perfectly during the series. I really felt for Niska in that moment because she finally gets the courage to do this huge thing that she thinks is going to completely change her future and the future of all synths and then it doesn’t happen. Even when it does happen, it doesn’t happen in the way she thinks it should and that is the most disappointing thing that she could imagine at that time. Pop Culture Principle – Niska also met Astrid at the beginning of Season 2. How has Astrid changed Niska’s outlook on life and how she sees herself? Emily Berrington – I think that Niska is as surprised herself as maybe viewers are of her ability to fully love and trust and be warm and find humor in a relationship with somebody that it completely takes her by surprise, if that is possible, particularly with a human. She did learn to start trusting humans through her relationship with George and with the family, but I think that ultimately, it’s only really through Astrid that she finds a complete ability to trust a human. Now, that doesn’t mean that she trusts all humans by any means, but the fact that she can trust one is a huge leap for her.For me, I so enjoyed every bit of the storyline exploring the really vulnerable and warm side of the character who we mainly see in dark, violent and difficult situations, but it’s great seeing that she has the whole spectrum of feelings and emotions in her. Pop Culture Principle – What do you think changed Niska’s mind to make her decide to turn herself in for murder? Emily Berrington – That’s a good question. I think that she realizes that there is no freedom in living in hiding. She’s been living in hiding for a long time, well before the beginning of Series 1, she’s been living in different stages of hiding and that’s kind of like being in prison anyway because she doesn’t have any rights or freedom. So, she may as well give up any rights and freedoms that she has to risk the chance of proper freedom if she can then prove that she’s conscious and that synths are also conscious and she’s willing to take that risk. Pop Culture Principle – Why do you think it was important to Niska to be tried as a human? Emily Berrington – The idea is that if she is tried in a way that a human is tried and if she is successful, she will be able to have the same rights as a human would have. Pop Culture Principle – “If a thing can be free, it should be free. If it can think, it should think and if it could feel, it should feel.” That line somewhat sums up Niska’s mission in Season 2. Would you agree with that? Emily Berrington - Yes. I feel like that line is something that reflects her across the entire series so far. She has this unflappable sense that if something is possible, it should be done. It even goes into her uploading the consciousness code. Again, if it’s something possible, it should be done and deal with the consequences later. Pop Culture Principle – One of the most powerful scenes in Season 2 is one where Niska has few words. When Astrid is brought in and finds out that Niska is a synthetic. Can you talk about shooting that scene? Emily Berrington – They built this huge glass cube which was really expensive. I was wearing a track suit inside the cube and it was really hot. Also, once you are inside it, you couldn’t really leave because the floor showed our footprints very clearly. Once I would go in, someone would come in and wipe up all my footprints and the older ones. It was like being in an actual prison. I was in that box first thing in the morning. I couldn’t hear anyone on the outside and they couldn’t hear me either, so that increased the intensity of feeling alone in that box. The arrival of Astrid had a real relief quality and helped Niska have a connection with her. We worked hard on the idea that you don’t have to do anything as a synth for the audience to understand what you are thinking as long as you are really and truly thinking the thoughts of the character. So, it’s quite a good test of your own acting in a way. Pop Culture Principle – At the end of Season 2, all synths are now conscious, how is that going to affect humanity and synths moving forward? Emily Berrington – I loved filming that last bit of Season 2. It’s so nice when you get to film a scene where everything is happening in real time. There was a big camera on a big crane and we rehearsed everything that was happening on the street and we filmed it all at once. It felt incredibly realistic and chaotic. What can you expect going forward, that day when the synths gain consciousness, that did is known as day zero. It’s a catastrophe basically because over one hundred thousand human lives are lost as a result of it; mainly because of accidents caused by synths who were driving cars or flying planes and so on. Also, huge numbers of conscious synth lives are lost as well and the fallout is really violent and there has been a huge reaction against conscious, green-eyed synths. In Season 3, we pick up the show a year later and all the initial truly terrible things have passed, but are still in our memories, but things are settling a little bit. We discover that the conscious synths are forced to live in small, cut-off areas where they can protect themselves, but they can’t really venture out into the rest of society. Pop Culture Principle – With all that had happened to Mia in Season 2, it seems she is starting to form the opinion that synths need to worry about themselves first and not care much for humans. Would you agree? Emily Berrington – She almost has the reverse of what Niska has with Astrid. It’s very interesting at the beginning of Season 2 that both of our characters develop these love interests and the synth who is the least trusting meets someone that she can trust and have a trusting relationship with and unfortunately for Mia, who has always been able to see far more good in people than Niska has, in some ways, that led to her detriment in her situation and that does affect her in some ways. In Season 3, we see her come out the other side of that and what happens to her there. Pop Culture Principle – Will we see the relationship between Niska and Astrid explored more in the third season? Emily Berrington – Hmm, possibly. What I can say is that between Seasons 2 and 3, Niska kind of retreats into her own content and happy life with Astrid because of the fallout of day zero. Niska takes a step back and realizes that it wasn’t what we hoped for and maybe it was inevitable that things would turn out the way they did, but all that she can do is figure out how she can be happy. It doesn’t take long at the beginning of Season 3, for her to find a reason to rejoin the fight because something happens that causes her to get back into the fight. Pop Culture Principle – Now that the synths are conscious, you have to play a synth who acts human. How, if at all, did you have to change up your acting style for Season 3? Emily Berrington – We did laugh about it a lot at the beginning because it could so easily fall apart! Going from full synth mode, we looked at idiosyncratic things that humans do when they stand or when they walk. Things like putting your hands in your pocket or resting your weight on one leg. So, we picked a few little things and thought those are the things that Niska picked up and those are the things that she uses. So rather then going full human with Niska, we picked a few things that would make it seem that she is human. I also think living for a long time now pretending to be a human probably has started to have a bigger affect on her. It’s become a bit more natural for her to move a bit more like a human. So, you begin to see the way that the synths from Season 1 are becoming very different from the other synths because of their experiences. Pop Culture Principle – After playing this character now for three seasons, as an actor, how protective are you of Niska? Emily Berrington – I think luckily our writers Sam Vincent and Jonathan Brackley, along with several other writers, they have such a clear sense of who she is and that’s why the character works so well on the series. The places where I have been surprised by a storyline or some of her dialogue, that ends up being one of my favorite things. For instance, her falling in love with Astrid. I would have said in Season 1 that Niska would never fall in love with a human, but I am so glad that is what was written because you get to explore what you think the character is. If you are going to do three seasons, you need to see that development and as an actor, that is the most interesting thing to play. I am very fond of Niska and I am protective of what I think she is as well. You can’t spend that many hours with a character and not develop a relationship with that character yourself. Pop Culture Principle – What can fans look forward to with the third season of HUMANS? Emily Berrington – I think it becomes more epic than the series has ever been. The show is now on an international scale and it’s reflected in how enormous the themes are that we are dealing with. It also comes back to the origin of the series being about families and relationships. So, we have this huge scale stuff, but also, it’s very much rooted back in the original feeling of HUMANS of what it’s like to be in a family and a relationship and there is so much humor and warmth that comes out of that as well. 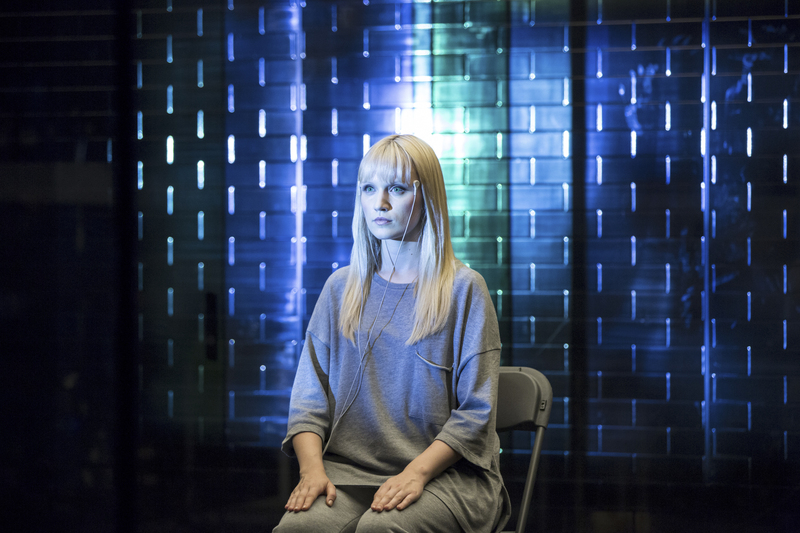 A big thank you to Emily Berrington for sitting down with us to talk about the new season of HUMANS. Don't forget, the series returns for its Season 3 premiere on June 5th at 10/9c on AMC.